Where does life reside? Where does the spirit live? Where is the substance of the self? 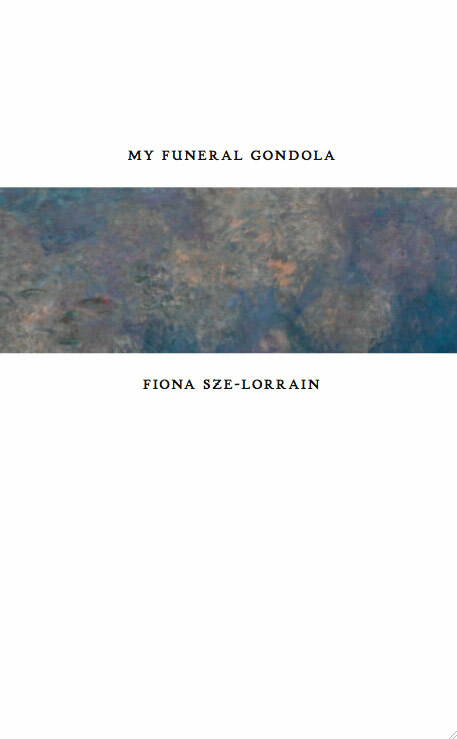 In Fiona Sze-Lorrain’s second poetry collection, My Funeral Gondola, ponderous wonderings become lighter than air, flying and perching like inquisitive birds, melancholy, merry, gentle, and sly. Inviting us to step through a prefatory poem that signals our passage into a world ‘No more black and white’, the poet guides us through the realms of liminality, and with her we experience the afterlives of herself and others, the reverberations of past dreams and memories, and the scattering of consciousness through time and space. ‘Erase me’, they insist. ‘Here is not life.’ Suicide by one name is liberation by another, and a playful rumination on words taking (their own) life becomes both a meditation on the nature of human existence (Is bodily incarnation life or is it an incarceration, a negation of life?) and a reflection on the failure inherent in the poet’s desire to capture life when life can only blossom beyond the artifice of the written word. Scattering like ashes, the dispersal of life, of self, of soul continues through the second section, ‘Odd Spirits’. A puppet-master of ‘Javanese Wayang’ ‘steals/ away from his body’ and transmigrates into shadow: ‘Watch the shadows, not/ the puppets.’ The spirits of ‘François Dead’ and ‘Cremating Maestro’ reverse this journey: the material traces the departed leave behind become more than merely physical: they have a weight and heft that anchors the soul in the world of the living. François’s lodgings are packed away and cleaned, but ‘A musty hardcover/ of ancient elegies/ loosely translated from the Japanese’ brings him back into the room they have cleared out: ‘François said he stole it.’ An origami boat brings closer intimacy with the classical Chinese poet Li Po than ever achieved by contemplating his poetry and its subject matter: ‘Sixteen, I folded a paper boat for you,/ imagining it once carried Li Po, imagining/ it was his body….’ In the intertwining of the flesh and spirit, material and immaterial, substantial and insubstantial, all distinctions melt away. In the final section, the poet’s life is broken across countries, addresses, experiences, and encounters: ‘Not Thinking About the Past’ (also the section’s title) takes us from 117 West 75th Street in New York to St. Albert’s Trail in Canada, to Block 33, Jalan Bahagia in Singapore, to 16 rue Séguier in Paris. 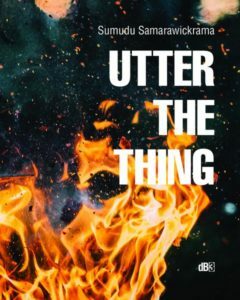 Through the other poems, we visit a first night in Shanghai, a music lesson with Martha at the age of nine, 1980 in London, a pretentious academic symposium in Germany. Masterful is the closing ‘Return to Self’—a desultory series of beautiful, funny, and puzzling observations, recountings, statements—that somehow hangs together by imperceptible threads to give rise to a portrait of individual being. The bigger your mole looks in the mirror, the more your body parts with ofty ideas. This is why Granny claims moles are temples. When I practice calligraphy, each splotch reminds me of a deformed atom. With a diploma in healing orchids, I invent the way of healing her. To quote a French humorist, God is absent, but the concierge will return. We like the dirty goats approaching our bus-stop. Our bus is late, so are they. Across time and space, death and life, solidity and abstraction, we are. Inexplicably so. At the coaxing of a lesser craftswoman, the finished piece could not hold. 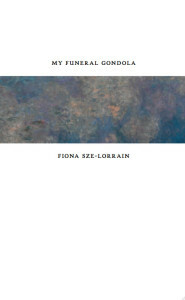 In the hands of Sze-Lorrain, breaking apart and holding together become one and the same, suspended, but not motionless.